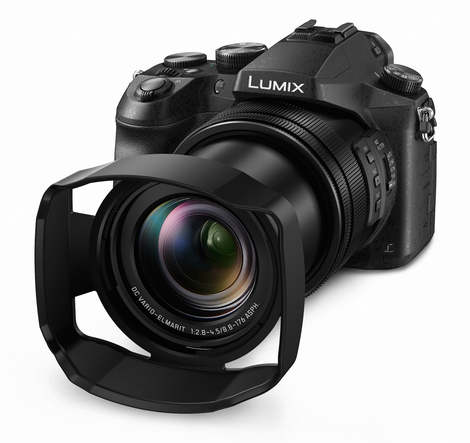 The Panasonic Lumix FZ2500 is an outstanding super-zoom digicam, sporting the power and performance that you would expect from a mid-level DSLR. Add to it its versatility and you have an awesome all-in-one camera for both stills and video. Read more in our Full Conclusion. In September of 2016, Panasonic announced a new super-zoom, HYBRID camera system. The LUMIX DMC-FZ2500 boasts a 20.1MP 1-inch High Sensitivity MOS Sensor mated to the Venus Engine capable of shooting full res RAW and JPEG still images at up to 12fps as well as 4K PHOTOs (8MP) at up to 30fps in bright and low lighting conditions (4 ND Filters and ISO 100 - 12800). You can even take still image and select your focus after the fact. On the video side of things, the FZ2500 shoots both Cinema 4K and QFHD (aka Ultra HD) as well as Full HD resolutions. In addition to time-lapse and stop-motion animation modes, there are Slow and Quick modes for shooting under or over-cranked footage for, as the name implies, slow or quick motion videos (in HD resolution). To help record and/or monitor audio, Panasonic includes 3.5 mm Microphone and 3.5mm Headphone Jacks. The FZ2500 also boasts a 3.0" free-angle rear monitor with Touch Pad AF for selecting your focus points on the fly, and OLED Live View Finder, and built-in Wi-Fi which, when used in conjunction with the free Panasonic Image App (for Android / iOS), connects to smart devices to share and transfer images as well as to act as a remote control / screen. The Panasonic LUMIX DMC-FZ2500 is available for $1199.99. See our best price box at the top right of this page to see current online pricing.